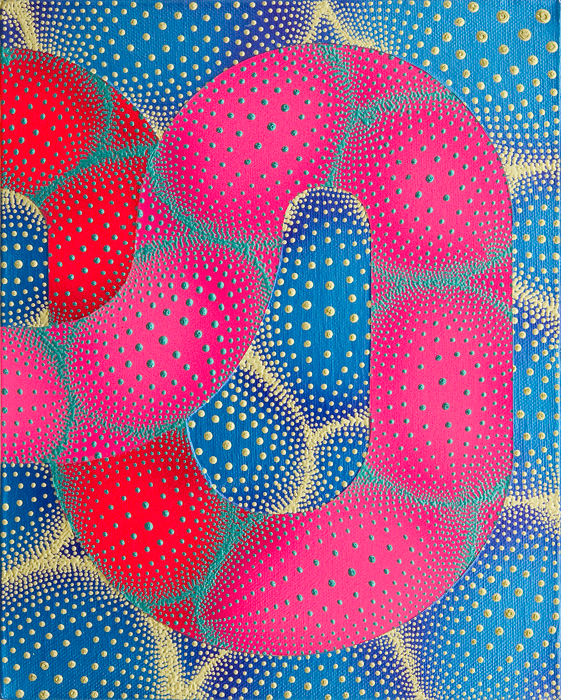 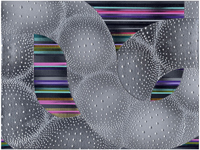 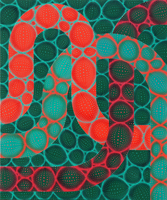 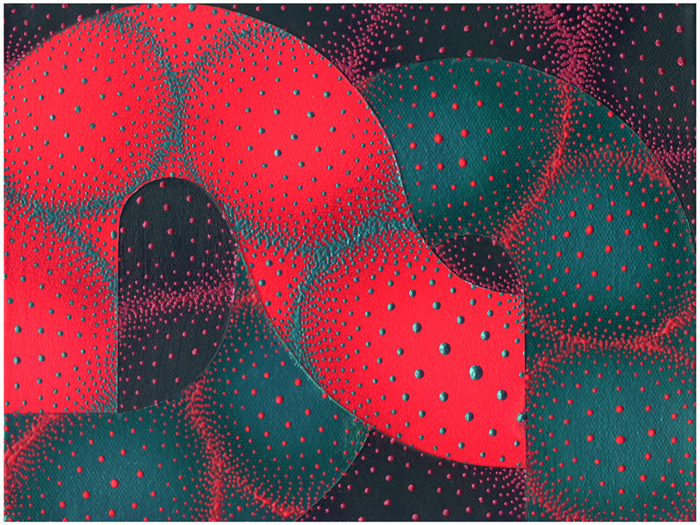 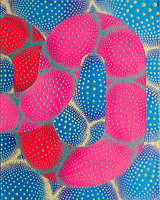 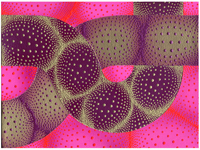 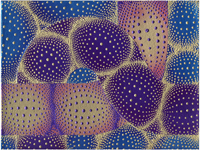 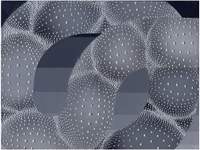 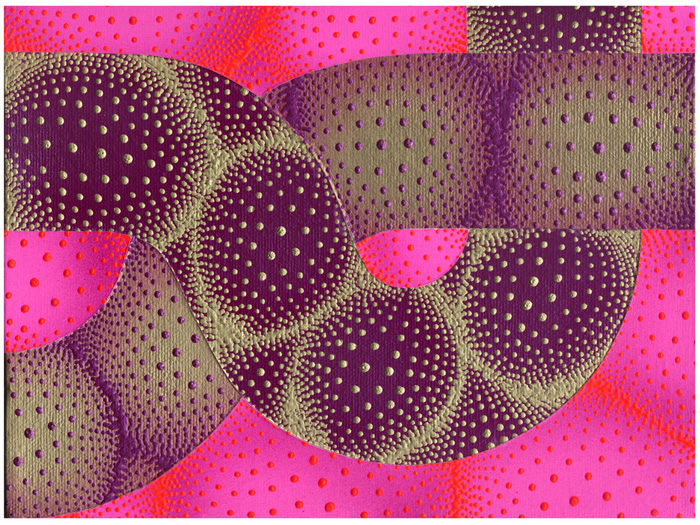 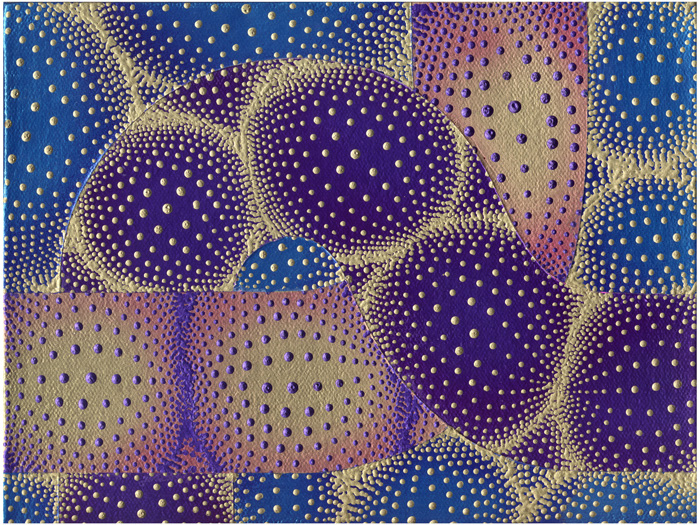 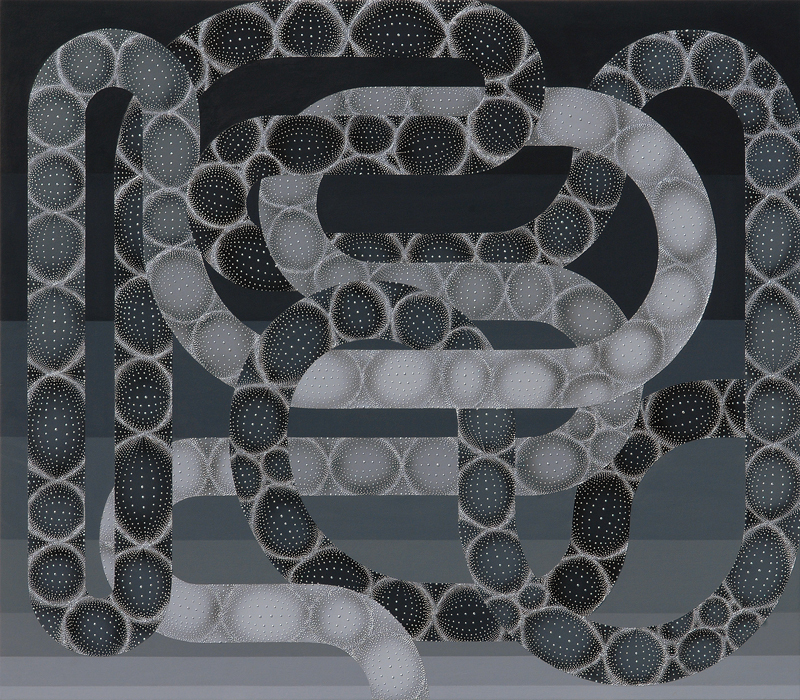 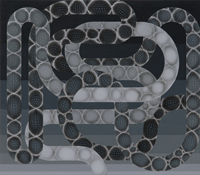 Hueppis most recent body of work is a series of five dozen optically brilliant new paintings describing systems of exchange and patterns of transmission. In his luxurious and opulent palette, fluid line and universal geometries Hüppi creates a dynamic tension between a flattened depth-of-field and graphic op art dimensionality. 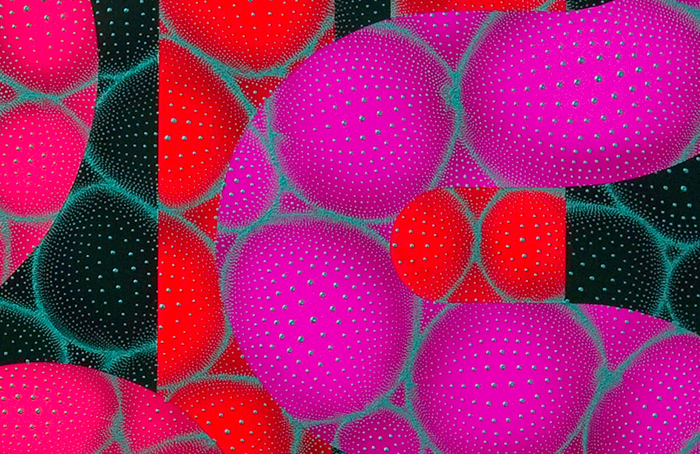 Visually stimulating and brimming with a sense of newness, the patterns on canvas, the swarming and clustering and weaving, parallel the routes that describe contemporary life; highways, subways and invisible paths teaming with tiny packets of telecommunication data.